"Annoying, negative behaviour is dealt with effectively." Children in my class loved it. Would be great as a beginning of the year book with great discussion on being able to ignore the negative behaviour of others. 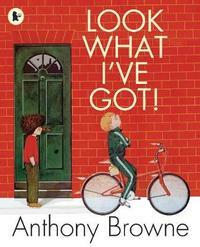 The illustrations are great with something new found every time we read it. A new edition of the master illustrator's story of a show-off getting his come-uppance. Jeremy, it seems, has everything: a new bicycle, a pirate outfit, an enormous bag of lollipops. But he won't share anything with Sam. Could it be, though, that Sam has something far more valuable? This stunning book is filled with visual jokes and a message to inspire. 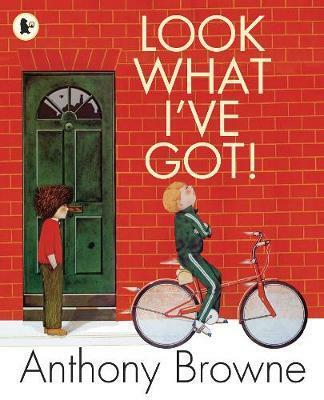 Anthony has won many prizes for his work, including the Hans Christian Andersen Award in 2000, for his services to children's literature - the first British illustrator to win the prize since 1956.